Maybe it's the crazy election season we just had here. Maybe it's because there just doesn't seem to be a whole lot of happiness in the world right now. Maybe it's because life has been a little crazy in my own world lately. Maybe it's all of these things and more. But for whatever reason, I'm longing for a gentle and simple Christmas this year. I'm longing for relaxing times spent with friends and family, renewing our annual traditions and enjoying all that the season affords us…if we take the time to embrace it. Making this Christmas Wreath for my kitchen reminded me of the simple joys of Christmas and brought back many fond memories. 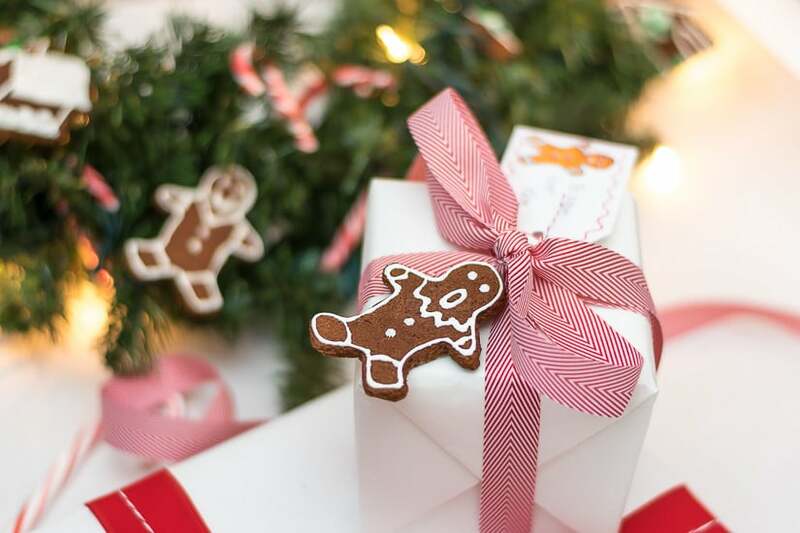 And making it made me realize that what I want, what I NEED is a very ‘gingerbread man' and ‘candy cane' kind of Christmas this year. 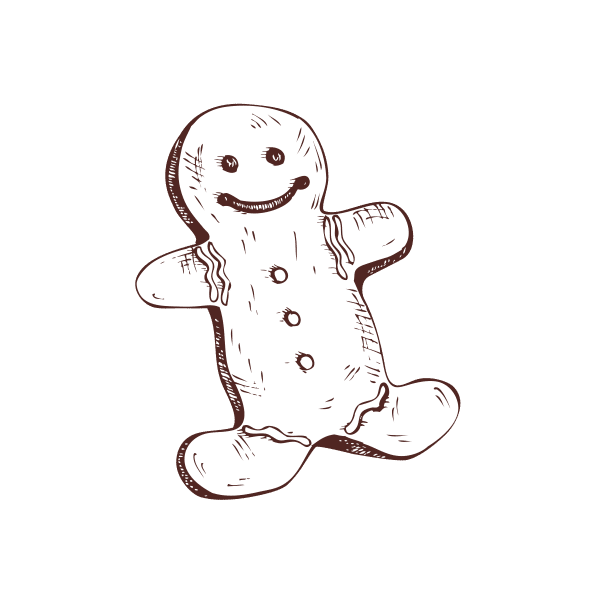 Does it get any kinder and sweeter than a gingerbread man? They've been around forever…they've withstood the test of time. They are reliable…and they smell good. Ummm…hey…they are the perfect man! I'm opting for our traditional decorations…the ones that we have enjoyed putting up for years and that provide us with the comfort that traditions bring. And I'm hoping that someone in my family will sit down and do a puzzle with me in front of the fire…hint! I'm looking forward to baking with my daughter and I'm not going to worry about the pounds that come along with the enjoyment of those sweets. I'm looking forward to making each moment count and each moment special…even the gift wrapping. I want each recipient to know that they are special to me. These gingerbread men are from the same recipe that I used when I made them for the wreath. It's the Applesauce/Cinnamon dough. In theory, it's equal parts applesauce and cinnamon, but if you have a thin applesauce (like I did), you'll need to add more cinnamon. When I do it again, I'll start with a 1 applesauce to 2 cinnamon powder ratio and add the applesauce as needed to get a stiff dough that will hold its shape when cut. It's a little trial and error. For your convenience, this post contains affiliate links to products I use, love and highly recommend. If you purchase any product through this site, I may be compensated, but you do not pay one penny more. You can see my full disclosure policy here. White puffy paint does a good job looking like icing. Will you have a theme for Christmas this year? What are you most looking forward to? Don't forget to pop over to my No Place Like Home Friends to see their ideas for gift wrapping this year. They are some clever gals, so I know they've got some great ideas. Lynn, gingerbread and peppermint make the world a better place! We need more of them! I am a huge fan of traditional and vintage Christmas decor, and these guys fit right in there! Adorable! Great idea my friend! And, I can smell them through the computer! YOur gifts turned out adorable! I love those Gingerbread men. and I really enjoyed your thoughts on the state of the country right now and how important it is to get back to Holiday traditions this year! So true! Wow what a lovely idea using gingerbread men. They look gorgeous and delicious too. I’m going to be making some of these tags this year. Lynn, I love your gingerbread men and the look on their faces. So adorable! And every adult and kid can always use either the cookies or the candy cane as an extra with their gift! Great job my friend! Oh what a lovely post Lynn… I love simple, in decor and in life, the simple things make me happy. Your gift wrapping is beautiful and special, made with love and I can imagine what a lovely Christmas time you’ll have with your family! Sending hugs, I hope you’re alright! This is really a great idea. Very original we get our candy our cookies and a gift. A three for one! Love it Lynn! Aw thanks Mary! I was looking for something ‘sweet’ and simple. Wishing you a very Merry Christmas my friend. Thanks so much for stopping by Barbara. True story, I made this wreath last year, put it in my attic for the past year and when I brought it out this year it still was so fragrant from the cinnamon in the gingerbread ornaments! I was quite shocked. It’s hanging on the inside of our kitchen door and as I go in and out I get a delightful whiff of cinnamon.